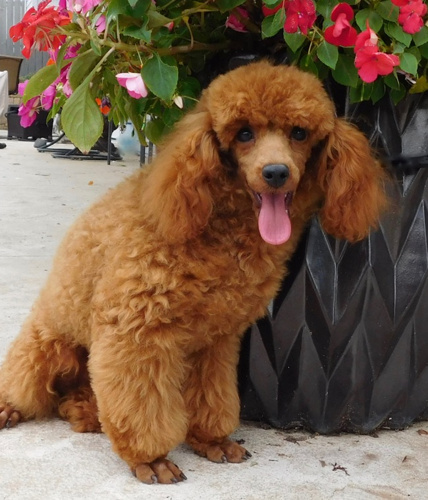 Oakley is a dark red mini Poodle. He is sired by Carson, who is now retired. He is OFA hips Excellent, OFA elbows Normal, eyes Normal, SA Clear, vWD normal, Heart Normal and Patella Normal.